Samsung last night unveiled Galaxy Gear, a wearable smart device that aims to bring "freedom" to consumers' experience of mobile communications, by connecting to multiple Galaxy devices. The new product notifies people of incoming messages on their phones, such as calls and text messages, emails or alerts and shows previews of the messages. People can either view the full content on their Galaxy Gear screen or choose to discreetly ignore the message. Galaxy Gear boasts a voice operation feature that allows people to conduct hands free calls, draft messages, create calendar entries and set alarms remotely. The voice operation feature also allows people to record voice memos. A memographer feature sees the addition of a 1.9 Megapixel camera that both records video and takes pictures, which are then able to be shared on social networks. JK Shin, chief executive and president of IT and mobile division, Samsung Electronics, said: "Samsung’s ongoing smart device innovation leadership reflects our commitment to listen to our consumers who want their daily lives to be easier and more enjoyable. "Samsung Galaxy Gear benefits consumers by integrating smart device technology even deeper into their everyday lives, and bridges the gap between the mobile device and fashion worlds to create truly wearable technology. "Samsung Galaxy Gear frees users from the need to constantly check their smart devices while maintaining connections. It provides what we call ‘smart freedom' by allowing users to choose how, why, when and where they are connected". 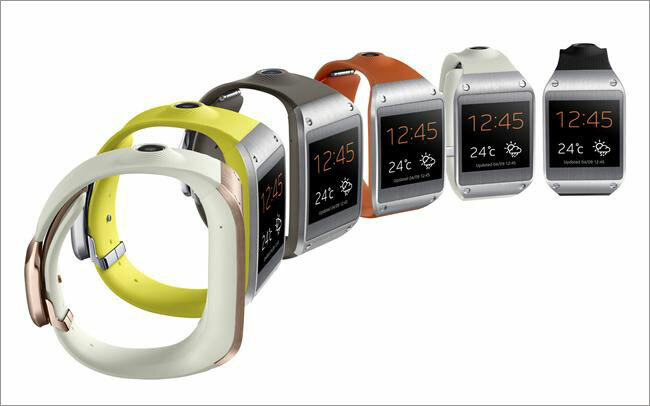 The Galaxy Gear will be launched alongside the Galaxy Note in more than 140 countries on 25 September.